Vitamin C + E Serum is a powerful combination of antioxidants that combines active ingredients in amounts of 15% Vitamin C (stabilized L-ascorbic acid), 1% Vitamin E (alpha-tocopherol), and 0.5% Ferulsyra that not only protects the skin from free radicals, but Also increases collagen synthesis and cell growth of protein fibers, which improves the structural integrity of your skin. Synergistic combinations of antioxidants provide an unprecedented amount of protection against the sun's harmful rays (ultraviolet rays) which prevents you from getting sun damage, sun spots and age spots. This potent serum contains a large amount of antioxidants to protect the skin's surface, creating a protective defensive barrier against environmental toxins and impurities that can lead to oxidative stress and premature aging of the skin. 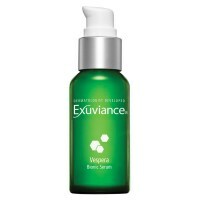 The serum repairs and improves the appearance of sundamaged skin, Flammiga skin types, and uneven skin. Treats by brightening age spots and other brown spots, melasma, erythema (redness) and hyperpigmentation, while it also smoothes out and softens fine lines and wrinkles. Regular use of this serum will improve the results and effectiveness of each product in the Cosmetic Skin Solutons product line. The serum is quickly absorbed to facilitate the antioxidants and vitamins to work in the epidermis which provides protection both over and under the skin's surface. You can expect results as a significant improvement in skin condition and a clearer, more radiant, healthier and more youthful complexion. Results will be better continued use. Vitamin C Serum is popular to use together with a dermaroller for added stimulation of collagen synthesis. This serum is excellent to use together with a dermaroller. Vitamin C (L-Ascorbic Acid): An active form a vitamin that is found nautligt in e.g. Citrus fruits. This water-soluble antioxidant protects the skin against the oxidative stress caused by the sun's rays (UVA/UVB rays). It improves skin elasticity by improving collagen production. Helps reduce pigmentation, erythema and skin redness. Helps to enhance the effect of Vitamin E.
Ferulsyra: A powerful antioxidant found in the cell walls of many plants. This ingredient is specielt effective at protecting against sun damage. Clinical research has shown that the antioxidant capacity and effectiveness of Ferulsyra are actually increasing when exposed to sunlight. In the formula in this serum it works in synergy with vitamin C and vitamin E to make them even more effective. The natural prevention capability of Ferulsyra not only prevents early signs of sun damage, but also prevents the onset of skin cancer. Vitamin E (Alpha-Tocopherol): This antioxidant protects against the harmful effects of the sun's rays (UVA/UVB rays) and reactive radicals. Vitamine prevents oxidation by facilitating the removal of free radical intermediates. Helps make Vitamin C more powerful samtigit as it increases the protection from your SPF. Promotes epitelbildning and enzyme activity for faster wound healing. Hyaluronic Acid: A naturally occurring polysaccharide responsible for promoting moisture and lubrication within the extracellular area of the dermis. With immediate water-binding and water-attracting properties fills it in the gaps between the connective tissue collagen and the elastin fibers found in the dermal skin layer. Hyaluronic acid that can hold water 500 times its own weight is a powerful moisturizer that arbetarför to retain water both above and below the skin surface to keep the skin plump, well hydrated, and beautiful. How do antioxidants vitamin C, vitamin E and Ferulsyra to provide protective benefits? This serum is rapidly absorbed and works through the synergistic co-operation between vitamin C and vitamin E, making them more powerful when formulated together. Clinical studies show that the addition of Ferulsyra provides unprecedented preventative benefits against sun damage. Which skin type does this product fit best for? Vitamin C + E Serum is ideal for aging and sundamaged skin. The serum works perfectly for those with normal to dry and also sensitive skin as well as those prone to get erythema or different types of pigmentation spots. Helps to treat pre-and post-invasive or non-invasive skin treatments. What is the benefit of a 15% concentration of vitamin C? A 15% concentration of vitamin C is a significant amount to apply to the skin. This high concentration will increase the antioxidant benefits of vitamin E and Ferulsyra to a greater degree, making them more powerful in the preparation compared to whether a smaller amount had been used. Does this product contain any parabens? Have tests been carried out on animals? No, there are no parabens in some of the Cosmetic Skin Solutions products. No tests have, or will ever be carried out on animals. Twice daily, apply 4 to 5 drops on the face, neck, and décolleté. Avoid eye. For optimal results, as well as to enhance the preventive benefits and achieve ultimate protection, use in a program that includes the entire Cosmetic Skin Solutions series that contains, among other things, Moisturizing gel, eye gel, and wide spectrum sunscreen. If you want extra brightening of the skin, you can choose Phyto Botanical gel instead of Hydra B5 gel.